How Safe Is Your Bakery From Fire Hazard ? 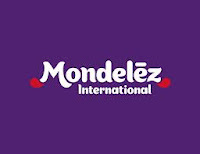 Cadbury India would be now re -named as Mondelez as confirmed by news paper report . Cadbury India which has been taken over by Kraft Foods Inc in year 2010 has now been given new name as per Kraft food inc strategy to split it business into two new identity ie International business which includes Oreo , Nabisco other brands would be now under Mondelez International Brand where as North American local products retains Kraft Foods Group name. As per the news report the brand cadbury would continue to be displayed with product with Mondelez replacing the manufacture name in labels . Indian subsdiary of Kraft Inc Cadbury are market leader in chocolate category and are now manufacturing OREO brand of biscuits under cadbury brand .Other products from Kraft Inc which are produced in India are Tang and Trident .